Perhaps no aspect of nonprofit fundraising is so important—and so misunderstood—as planned giving. On one hand, nonprofits dream of multi-million-dollar bequests. On the other hand, staff and board members find themselves confused – and terrified – by the legal jargon and details. Meanwhile, organizations face the constant need for annual operating money, and planned giving gets ignored. As a result, organizations sometimes find themselves paralyzed and don’t take some basic steps to attract and prioritize planned gifts. Clear and practical steps for developing and refining a planned giving strategy that works for your organization. How to focus your efforts on the most likely and simpler planned gifts – and how to find support for more complex gifts. The fundamental difference between a donor's income and assets—and how that distinction drives charitable decisions. Participants will develop an understanding of the financial and psychological motivations for donors, and how – even if you are a small shop – you can create and develop a successful and impactful planned giving program that can complement and enhance your annual fundraising efforts. 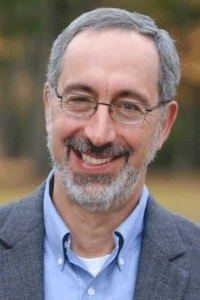 Alan Cantor is principal of Alan Cantor Consulting LLC, working with community-based nonprofit organizations on issues of resource development, strategy, and governance. Prior to starting his consulting business in 2012, Alan had thirty years of experience in New Hampshire nonprofits as an executive director, chief development officer, and planned giving director. Alan is a prolific writer and presenter on issues relating to the nonprofit sector, and he is a frequent contributor to the opinion pages of The Chronicle of Philanthropy and Inside Philanthropy. He has been cited in The New York Times, Barron’s, Pro Publica, The Boston Globe, and other publications.